The agreement aims to combine Lockheed’s systems integration expertise and AV’s Global Observer UAV to meet the emerging requirement for affordable persistent solutions for wide area applications. DEFENSE EXPO –-- AeroVironment, Inc., a leader in unmanned aircraft system solutions, and the Lockheed Martin Corporation, one of the world’s largest aerospace companies and a leading systems integrator, today announced an agreement to jointly pursue opportunities in unmanned aircraft system (UAS) development. Lockheed Martin designs, develops, produces, supports and sustains a wide variety of manned and unmanned systems that span Group 1 to Group 5 unmanned aircraft systems along with a wide range of subsystems including: EO, IR, laser and EW payloads; and a family of Ground Control Systems (GCS) such as One System GCS, Common GCS, Mobile GCS and Expeditionary GCS. 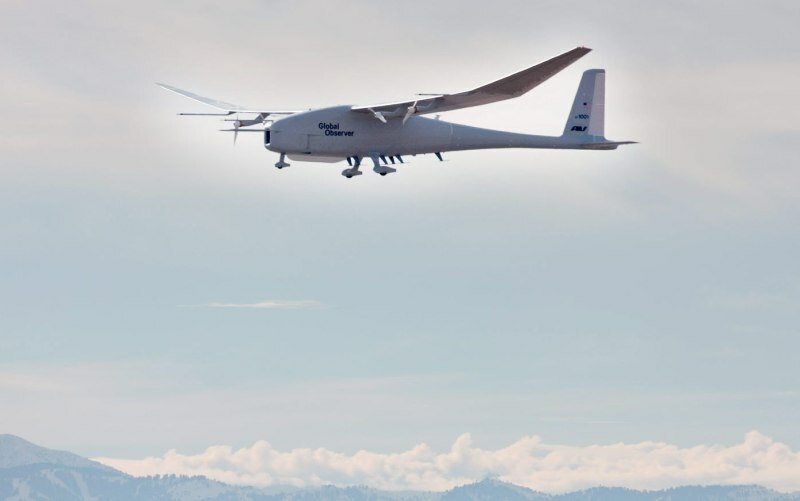 AeroVironment is a technology solutions provider that designs, develops, produces, supports and operates an advanced portfolio of Unmanned Aircraft Systems (UAS) and electric transportation solutions. Agencies of the U.S. Department of Defense and allied military services use the company’s electric-powered, hand-launched unmanned aircraft systems extensively to provide situational awareness to tactical operating units through real-time, airborne reconnaissance, surveillance and communication. Multiple government agencies helped to fund the development and demonstration of Global Observer, a hybrid-electric, stratospheric UAS designed to provide affordable, persistent reconnaissance and communication over any location on the globe.